A Consumer Reporting outfit (unnamed, because they politely told us not to) rated the 7506 as their number 1 pick for a bathroom scale. Platform Size 13" x 11.75"
Scale Size 13" x 11.75" x 2.25"
This Bathroom Scale Is A Real Looker If you're looking to buy a great looking digital bathroom scale for your home, look no further. The Taylor 7506 is an affordable scale with the looks of a high dollar instrument. The 7506's durable glass weighing platform is set on top of a sleek base, and is complemented with chrome accents. You will also notice the large, easy to read weight display resulting in a great looking, easy to care for digital bathroom scale. Low Power Consumption The Taylor 7506 has a low power consumption, auto-off feature and lithium batteries for extra long life from a single set of batteries. Extra-Sturdy Glass Platform This Taylor scale has an extra sturdy, tempered glass platform for weighing up to 400 pounds. This platform looks great and is easy to clean. Step And Weigh Feature You won't have to bother bending down to switch this bath scale on...just step on it. When you're ready to weigh, just step up on the scale, it'll turn on and you'll see your weight readings in no time. Pretty easy, huh? 5 YEAR MANUFACTURER'S WARRANTY! Taylor provides a five years warranty on this bathroom scale. So, if ya ever have a problem with this Taylor 7506, just send it in to the Taylor warranty center and they'll get you taken care of. Awesome scale! Love the glass finish and digital read out...also love when your weight is done calculating, it blinks when it has a final weigh in...NICE!!! Bought it for my wife. She loves it. She's happy, I'm happy! Scale arrived early. It is the best scale I have had. The weights are repeatable and it centers in quickly. Large readout that I can see without my glasses. I can't think of any negatives - good scale, good price. I like this scale very much. It weighs the same as the doctor scales. It is very easy to read and weighs me as I weigh over 300 pds. I recommend this scale for anyone who wants a good product. I bought it for a Christmas present, so it has not been used. Love my scale except when it says you weigh TOO MUCH. This scale is inaccurate. I just weighed myself, got off , and weighed again. Got a number 2 pounds less. Waited, did it again, got a new number. It's happened brfore. I can only guess my weight approximately from this scale. Taylor 7506 Glass Platform Lithium Electronic Bathroom Scale. This is a beautiful functional addition to our bathroom. It is exactly what we wanted and expected. Very Happy with this scale and its beautiful design. I am very pleased with the scale and the price was very good. 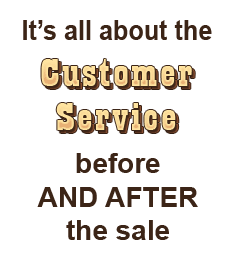 The service, after receipt of the product, was exceptional. I could not respond sooner as I was out of town. Very happy with this scale. Very accurate. Looks nice. For a great price. It's stylish, looks great in our new bathroom...it also weighs as it says. I recently gained a lot of weight due to medical conditions and it weighs over 350...it's a great little scale. We've been happy with our new Taylor scale. Seems to weigh accurately every time and they look nice to boot. The delivery was extremely fast and the product was what we had hoped for. Also thought the price was more than fair. 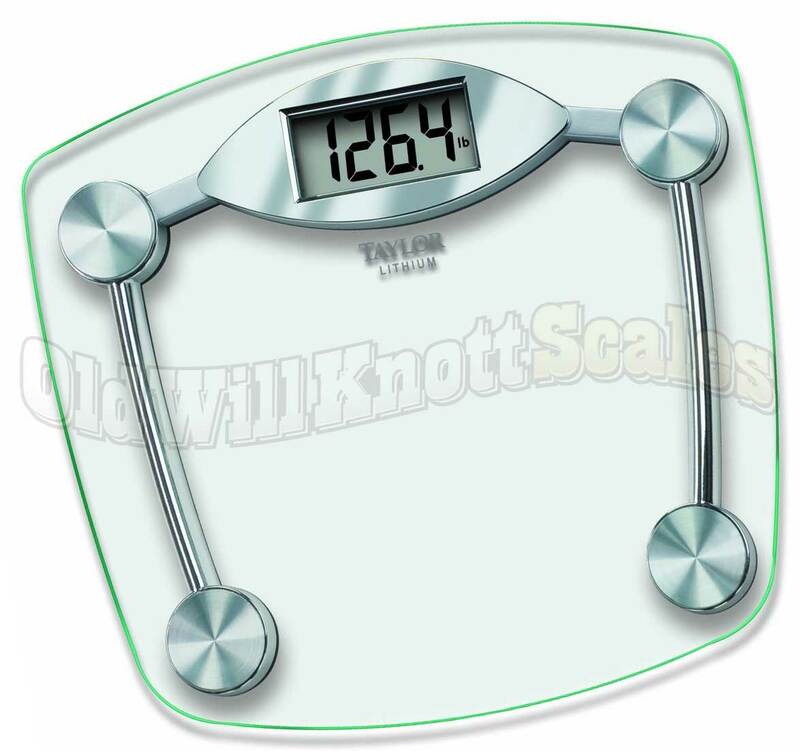 Purchased this Taylor scale and within a few days might weight dropped ten pounds. Tried the trick of removing the battery and replacing it. No luck. Still weighs me ten pounds under. Taking it back. First scale I got in a long time that actually seems to work. Very precise and repeatable measurements. Easy to use and read dial. I think this is a very good scale. I've had a over a month now. Time will tell better. I'm impressed with this seller. I haven't had any issues, but I think that if I do they will be there. Just a guess. 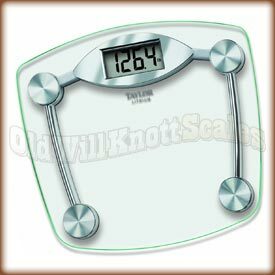 This scale is easy to read in pounds and ounces and nice to look at, whether in a bedroom or bathroom. I definitely recommend it. Neat, compact, lightweight and very accurate. Easy to read. Great deal for the price. Service was excellent-prompt delivery. Got exactly what I wanted. Accurate, quality for not to much . It weighs right in line with the much more expensive " Weight Watchers " scales. This scale is perfect! It's accurate, light weight, compact, easy to use & has pretty design. It fits under a couch or a bed but I don't feel the need to hide it. Would recommend this to anyone in need of a great scale! This is the first review I have ever written. I was so frustrated with my previous scales that were not consistent. If you stepped on five times, you had five different readings. Yes, other scales offered variances in weight gains/losses but they were not consistent. I have enough of a memory to remember what I weighed yesterday. So this scale works for me. When we got it it was easily set up and has been used daily. We found it to be accurate, and very stylish. We love it and are very happy with our purchase! This is a beautiful scale. Heavy and durable. I love this scale! I put it on a hardwood floor in our second bathroom, where it won't get bumped. Weighs perfect almost every time...unless I try to fool it and pick up a slipper and reweigh without the scale noticing the extra weight in my hand. I finally decided not to worry about it, because since Christmas, my weight has been dropping .4 - .6 ounces each day for the past week, which it should with decreasing caloric intake. This is our second scale from Old Will. The first one wouldn't always give a reading without figiting with it. I called the company, and they Fed X's a new scale by the next day. Can't complain a bit, with a lifetime warranty. I got prompt delivery and the scale worked well out of the box (but make that plastic battery separator tab a little easier to pull out, please!). HOWEVER...I had ordered extra batteries, and trying to be organized thought I'd keep them somewhere very obvious for when they were needed. So, I taped them to the underside of the scale readout section. The next time I got on the scale it showed me every possible weight in the universe, and finally settled for blinking 100 over and over. Very flattering, but half my weight! I removed the taped-on spare batteries (which were NOT in contact with the scales), BUT...nothing I could do would bring it out of its funk, not even leaving it overnight. Just as I was about to pack it up and send it back, I decided to treat it like a confused computer and reboot it by removing the battery. That's when I discovered you need a Phillips head jeweller's screwdriver to change the battery. Come on Taylor, how about a fingernail or similar battery cover removal technique? Anyways, my poor confused scale recovered just fine after a minute without power, and has behaved fine since. So, it gets 3 stars from me - 5 for function and value when behaving normally, and 1 when in neurosis mode. I picked this scale because all the reviews that I saw were positive. The last scale that I had never showed the same reading twice in a row. This Taylor shows the same weight when I weigh myself. Thanks for a great product and I highly recommed this to anyone looking for a good reliable scale. We have used a balance beam scale like in a doctors office for over 30 years and finally wanted something smaller and less imposing but did not want to give up accuracy. The Taylor 7506 is perfect. See through feature makes it almost invisible compared to the bulky balance beam and it is very accurate. We love it and would recommend to anyone. We have had so many scales and had just about given up until we did some research online and so many times we were led to this particular scale. Reviews were all good for this product but the most important piece for us was how many comments were left about how accurate the scale weighs you! ALL the reviews were on target!!! I am now writing to let all those other people out there hunting for a great scale that weighs accurately no matter where you place it on the floor, and at a very reasonable price that this scale is for you!! :) We are loving this scale, the wider size, the sleek look and BEST OF ALL our family can now trust the numbers that appear on the display. Very happy with this product would recommend to ALL! I am delighted that the clear format means it is hardly noticed and seems not to take up any space in my already small area. Perfect for a small apartment. And yes, it weighs accurately. Sigh! We are very satisfied with our Taylor 7506 scale after researching Consumer Reports for one. The accuracy is excellent, the price was acceptable, and it is nicely designed. We especially like the contoured design of the back side of the platform. This provides easy walk-by when the scale is positioned against the wall, unlike the square design of our previous scale. I LOVE the Taylor scale. We were vacation in Cancun, Mexico and they had these in all the rooms - what a great way to keep your weight in check on vacation and never a change if you weighed in multiple times!! I just had to order one immediately when I got home. It's exact and never changes!! I also love how it gives you your weight to the ounze instead of .5 lbs!! I would recommend to everyone!! When I took the scale out and inserted the battery the first thing I did was test it for accuracy. I put a 10lb dumbbell on it, twice, and it was dead on accurate. It's a keeper! I was having trouble with consistency and variation in indicated weight with changes in ambient temperature with my previous bathroom scale. Consumer reports recommended this scale and so I tried it as they inidcated it was consistent and accurate. Upon receipt I compared it's indicate weight with my old scale, with and without me holding a 15 lb. dumbell while weighing myself. The new scale weighed me about 2 lb heavier than the old scale, and was exactly 15 lb. heavier with the 15lb. dumbell, which it should have been, of course. The old scale varied by as much as one half pound with/without the dumbell on repeated weighings. I conclude the Taylor 7506 is a much more accurate and consistent scale. Temperature variability is more subjective, but in this area I believe it is also superior. I'm very happy with the scale, it is a very good value and Old Will Knot Scales were knowledgeable, courteous, and fast in processing. Very nice experience. I tried it. It works very well & I recommend it. I really like this scale, I purchased it because my husband & I joined Weight Watchers and our old scale weighed us 4 bls light. This one is more accurate with in .5 to 1 lbs of the weight watchers scales. (heavier) Which I like would rather be less when I weigh at WW than more. I would recommend this product. I am very happy with it. Seems to be very accurate so far, and simple to use. An outstanding product. The best weighing machine I have ever bought. Very reliable and accurate. Thank you. This new Taylor scale is simply perfect. Y'all have a most varied selection and the shipping was on time and packaged securely. I'd recommend this scale and the company to all. I purchased this scale based on Consumer Reports. Apparently, it is suppose to be very accurate. Well, I have a very difficult time getting an accurate weight. Most of the time I get an ERR because it is so sensitive. When I do get a fixed weight, if I weight myself 2 times in a row, there could be a variance of 5-10 lbs. I don't think that's accurate at all. I am very disappointed in this product. The scale meets my every expectation. It seems to be very accurate, with large size numbers. I like the glass body. Works exactly the way the instructions indicate. I was surprised how fast the scale arrived after I ordered it. I don't think a customer could ask for any better treatment than Old Will Knott Scales provides. These scales are wonderful, easy to read and seem to be very accurate. Were sent in a very timely manner and we are very Happy with them. I would recommend them to anyone. The scale itself is accurate, easy-to-use and looks great. Also appreciate the lifetime guarantee and the service from OldWillKnott! We love this scales. Very handsome, yet doesn't not obtrusive in appearance. Accurate, convenient and well constructed. Arrived quickly and in perfect condition. We are very happy with this scale. I bought this scale because of Consumer Reports rating.It arrived in very short order. Had very great price and works great. My old scale would give a different reading if I checked it more than once within a few minutes. The Taylor 7506's reading is consistent. I also like that you don't have to tap the scale and wait before weighing yourself. I am very happy with this...I purchased this model because Consumer Reports rated it very highly. It's cost can't be beat. I haven't had it long but it appears accurate and well built. It arrived very quickly and well packaged.